Quentin has always admired Margo Roth Spiegelman from afar. So when she comes through his bedroom window in the middle of the night, demanding his presence as her chauffeur as part of her wild revenge plot, what can Q do? 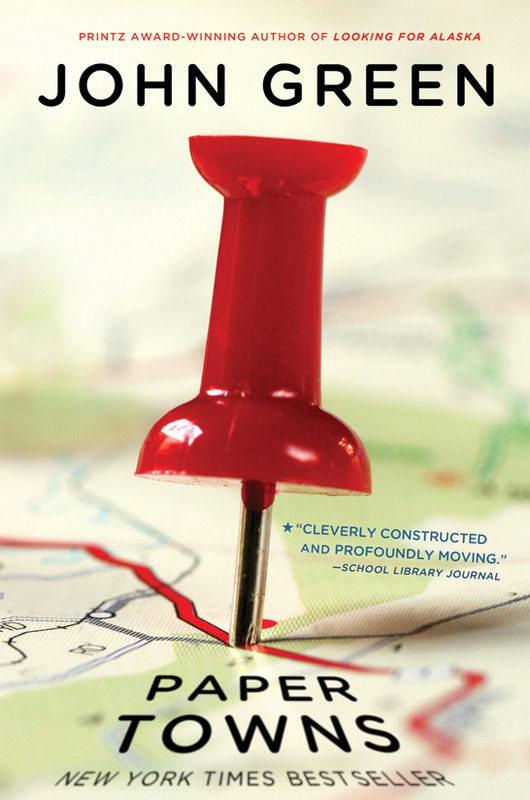 Fans of Rachel Cohn, David Levithan and E. Lockhart will love this novel that bursts with the usual John Green flair. Full of knowledge bombs, comical anecdotes, and amusing situations, and many insightful observations about life, Paper Towns. Although I did love the main characters of Ben, Q and the rest of the gang, I did feel that at some points, I found that Margo was really annoying. Sorry Margo. I loved the witty banter that went on between characters, it really progressed the novel, as well as being humorous. As well as, at some times, just downright silly. Overall, it seems that a lot of work had gone into planning the plot and the characters and it paid off as Paper towns is a stirring novel that is an easy and pleasurable read. I recommend it for guys and girls 13-16. Enjoy!